Twice over the last of couple of days I’ve had some lovely food courtesy of this simple Turkish cafe on Queen’s Road in Clarendon Park, Leicester. 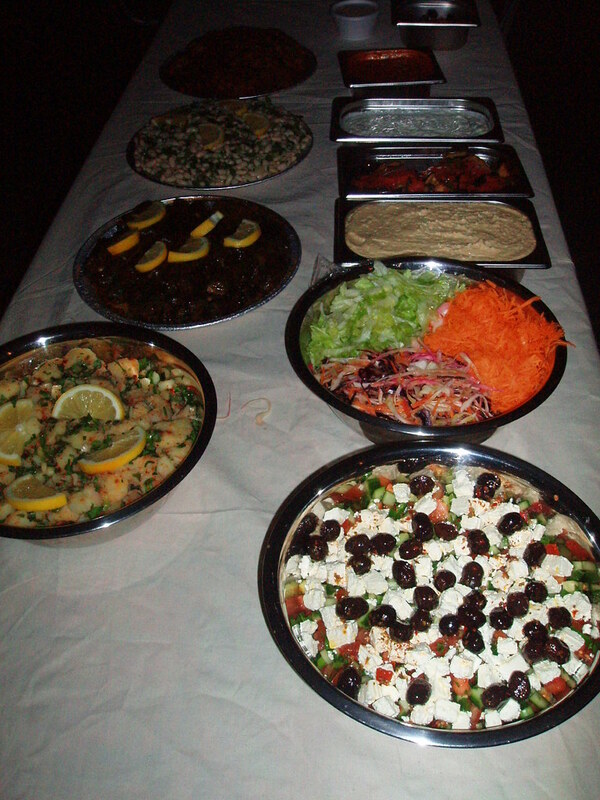 With four formica tables it would be easy to mistake for a bog standard greasy spoon and, while burgers and pizza are on the menu, so is some seriously tasty meze. Last night a group of us shared some lahmacun – flat bread with minced beef and a sprightly little salad, lively hummus, wonderfully tender and flavoursome fried aubergines with tomato sauce, mousakka, iskander kebab – cubes of lamb and home-made bread ,with a youghurty sauce and a fresh greek salad with feisty feta. Only the slightly stodgy kadayif pastry desert was less than excellent. Cafe food then, not fine dining but none the worse for that. 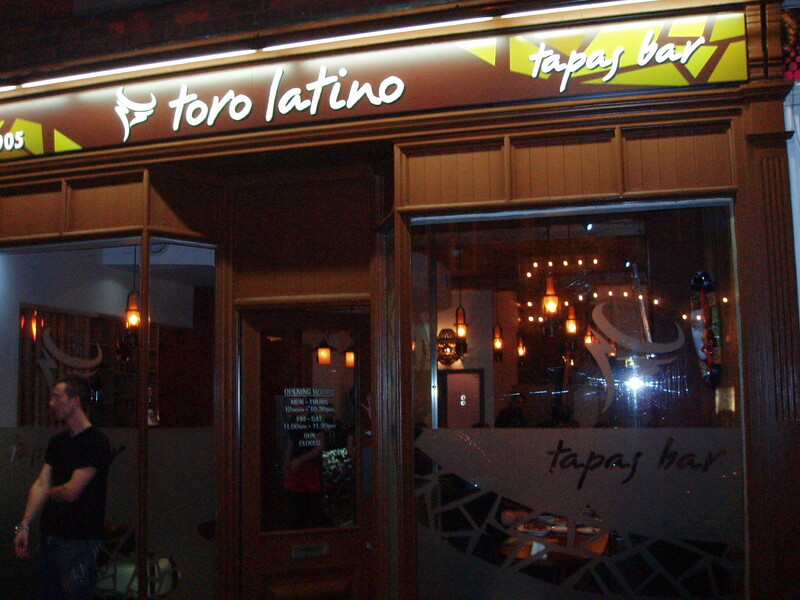 I’d had a chance to try more of their when they catered for a christmas party for around 30 of us at the weekend (see below) – it was simple food but fresh and with bold flavours. I’m a hopeless baker but have a real sweet tooth so keep having a go at cakes and buns. 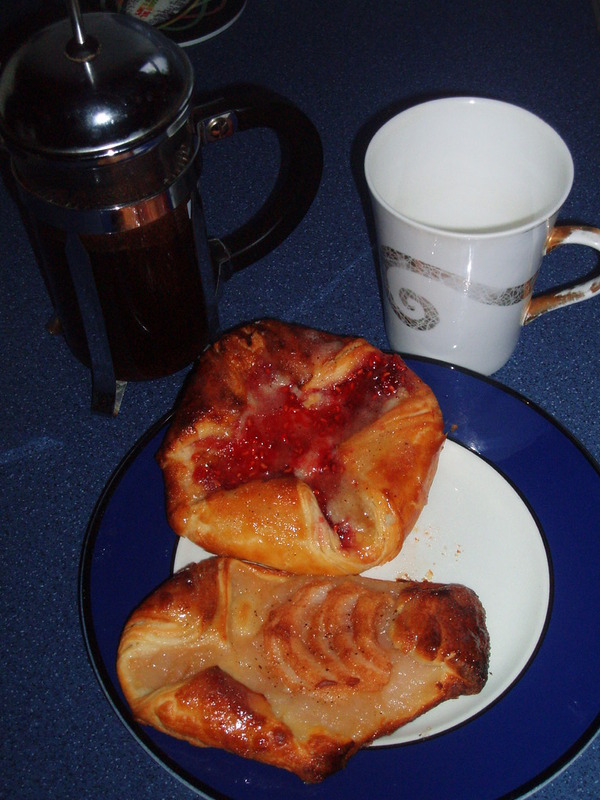 I’m rather pleased with my recent attempt at Danish pastries. They take a while what with all the resting of the dough and that, but I reckon it was worth it – with a cup of costa rican (see November 19th post) they make an uplifting start to the day. This made around half a dozen – mix 250 g of strong flour with 25g of caster sugar and add 20g of yeast (I used Dove’s Farm quick yeast). Then add a large egg and about 100 ml of milk to create a dough. It will seem fairly dry at this stage but a good 10-15 minutes of kneading and it will be smooth and springy. I don’t have a mixer but I think kneading is the best bit of baking anyway. Then leave it to rest for half an hour. So far so easy. Then roll out it into a 10 inch square, cut about 80g of butter into smallish knobs and place around the centre of the square. Fold one edge towards the middle and then the other edge over (so the pastry is now one third the size). Roll it out again to the same size sqaure – you’ll see the butter starting to spread within. Fold it again and leave it for 20 mins. Repeat this cycle two or three times. Finally roll it out reasonably thinly and cut to the size of pastry you want. Experiment with shapes and fillings – the two pictured are one with a little raspberry jam, and the other is a little pear puree and sliced pear, sitting on some some almond paste (very simple – make as much as you want from equal quantities of ground almonds, caster sugar and butter creamed together). There’s a little bit of icing on them too. 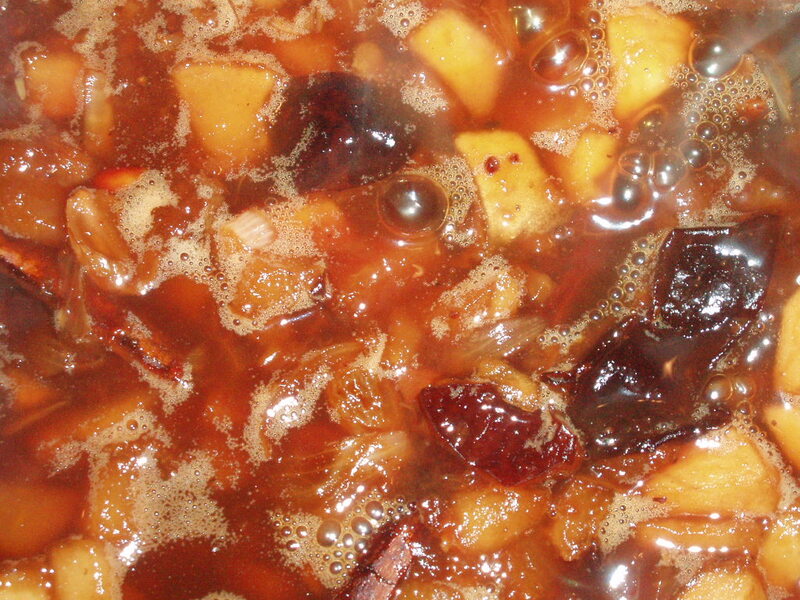 I’m also going to make others from mincemeat and apple. To bake they take around 10 minutes at 180 degrees celcius. If you are baking a few together, keep an eye on them because unless your oven is very well behaved, you’ll probably need to move them around to make sure they bake evenly. Picked up some Christmas booze following a tasting at Evington’s, a wonderful shop on Evington Road, close to the Spar supermarket. I recommend it to anyone not sure what they want – have a look at the website but do visit the shop too if you can. Owner Simon March is the third generation of his family to run the shop and is a genial, knowledgable and helpful chap. He doesn’t sell bad wines. My selection then (all round about a tenner): Errrazuriz Max Reserva 2007 – a premium wine from this major Chilean maker which is a characteristically fruity cabernet sauvignon but with some real complexity too; Seifried Gewurztraminer 2007 from Nelson, New Zealand, full of tropical fruit that I plan to match to spicy-glazed gammon; an unusual, modern-style Rioja from Becquer, 2005, considerably lighter than might be expected; and a quite sublime Hunter Valley Botrytis Semillon, 2007 from Margan – a sweet, fragrant, non-cloying desert wine I simply can’t wait to crack open. I’m not generally over bothered about bread. But I was impressed with the sourdough on offer at last weekend’s feast at Hambleton Hall. So much so that when visiting my friend Jenny’s pub in Langham (The Noel Arms – drop in if you’re passing, I’ve seen the kitchen, it ‘s all tickety-boo), I called in at Hambleton Bakery in Oakham to get a loaf. At £2.30 for an 800g loaf it’s not cheap but it’s a thing of beauty both inside and out. Baked in a wood fired oven, it’s crusty but yielding and gratifyingly floury, the texture is springy like a crumpet, and the smell is wonderful. 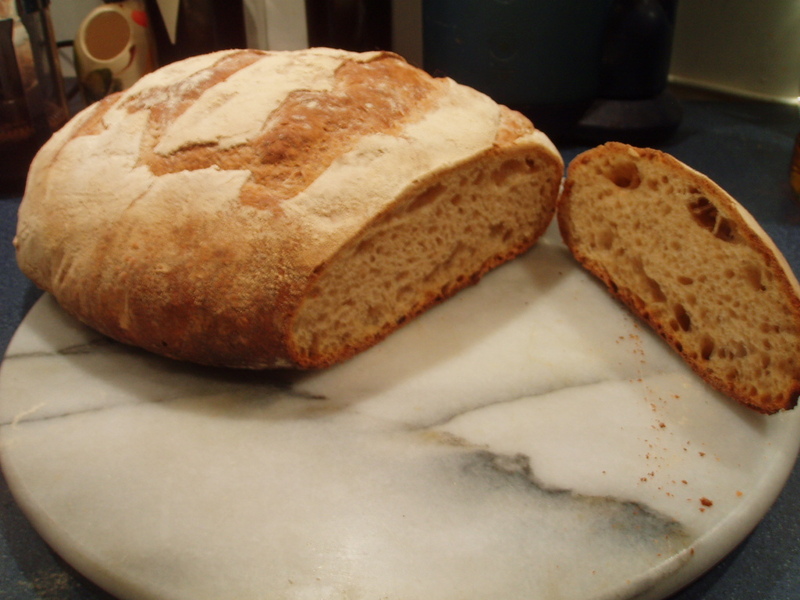 It has that distinctive tangy, sourdough taste but it is mild. It’s flavourful enough to enjoy on its own with butter, but it’s not overpowering and I’m looking forward to trying it with some powerful, complex Quicke’s vintage cheddar. We’re assured that the artisan production techniques mean the loaf will keep for around a week, toasting up nicely even after that. Can’t see it lasting that long. Quick reminder for Leicester-based folk – the relaunched Farmers’ Market is in town tomorrow, Thursday, and should offer lots of opportunity to stock up for Xmas. There’s a funfair parked on Humberstone Gate so for this month only the stalls will be found round the corner on Gallowtree Gate.